didn't seem to be a whole lot of opportunities out there. My five best friends, that I grew up with in Atlanta, all went into the military. So, I think that if I hadn't moved to California when I did, I might have ended up in the military as well. But my mom ended up transferring with the job that she was working. They had offices in Los Angeles, so she was able to transfer to those offices and we moved there when I was about 11 years old. Within about a year I had already started in an acting class for kids. I did some performances for agents and managers. I ended up signing with an agent and started auditioning and then started working very soon after that. It wasn't like I was discovered and my dad certainly didn't help me out by introducing me to producers. It was nothing like that, you know it wasn't like insider trading or anything. It was all just a normal process...But the one benefit I did have was that I was still a kid, so I didn't have bills to pay. And it's much easier to develop and work and build a career, when you're not worried about: where is the next paycheck coming from? How am I gonna pay the rent? 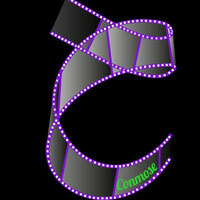 How am I gonna take care of this and that..."
Corin Nemec began training with the Centre Stage LA theatrical company. After signing on with an agent he was booked for some TV commercials. In 1986 Corin landed a guest role as Kyle in the TV Show "Sidekicks". In the years following Corin played in some movies and he had a guest role as Nicky Papadopoulos in the tv show "Webster". In 1989 Corin Nemec earned an Emmy nomination for his role as Steven Stayner in the TV movie: "I Know My First Name is Steven". 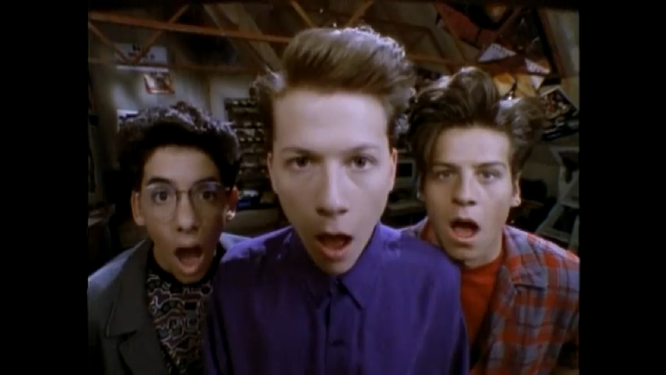 His big break, however, came when Corin was 18 years old: he landed the role of Parker Lewis in the hit show "Parker Lewis Can't Lose". This American Teen Sitcom was heavily inspired by the movie "Ferris Bueller's Day Off" and is exactly why I was so happy that Nemec was announced at FACTS. The show ran from 1990 until 1993 and I used to watch it all the time. The show revolves around the shenanigans of high school student Parker Lewis and his friends. Lewis' only goal is to achieve and maintain "coolness". not want to audition and just think: oh they should just offer me the part, because I've done all of this work...I decided at a young age that I always have to be willing to audition if I want to keep working. Because if I just say: Oh tell them to offer me the part, well hey they may offer it to somebody else. But at least if I go in there and audition for it they can see me and they can see that I'm enthusiastic about wanting to get the job. And I have a feeling that that has a lot to do with it..."
We went to FACTS for two days, but we arrived pretty late at Saturday (because of a big delay due to an accident). 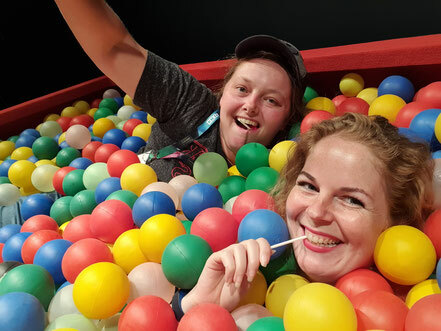 Luckily Corin's Q&A was planned late in the afternoon, so I was glad to be able to attend that one. At the start of the Q&A the presenter told us that the Q&A would be cut shorter, because Corin Nemec was not feeling very well. But he did show up and his Q&A was a lot of fun. He talked about this being his second or third time at a Belgian convention (he was a guest at FACTS in 2005). He talked about his working relationship with the late Don Davis (Hammond in "Stargate SG-1"). He said he had a bond with Davis, because they were both Southern boys. He also talked about how Davis was a great painter and how almost no one knew this side of him. 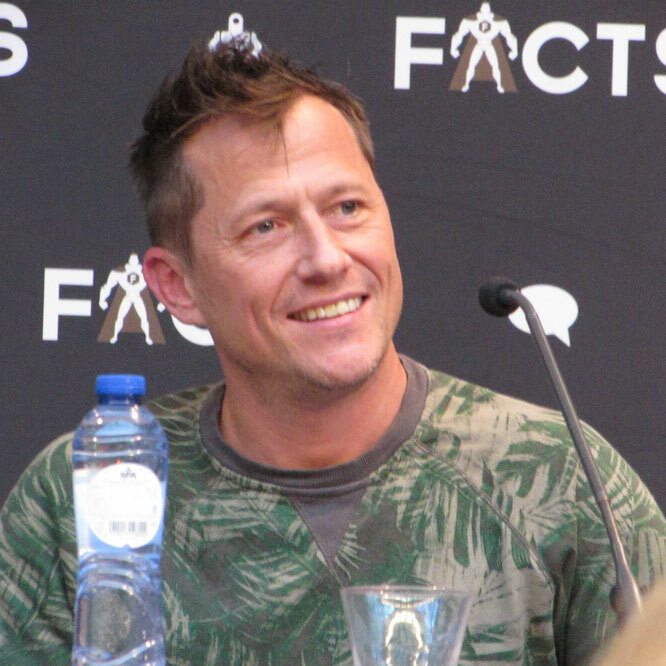 Corin Nemec: "Don Davis was just fantastic". He also talked about his early movies; "Tucker" and "I know my First Name Is Steven". In both of these movies he plays the role of a real person from history. Later he also made a movie about Ted Bundy (he played Ted Bundy) and he played Richard Speck, another notorious mass murderer, in the 2007 movie named "Chicago Massacre". In his Q&A he said he hated playing Ted Bundy, he didn't enjoy playing that character. But oddly enough he did enjoy playing Richard Speck, because the guy was pretty coocky, whereas Ted Bundy was really calculated. Furthermore, Corin Nemec talked about the show he is watching at the moment. He thinks "Westworld" is awesome and he calls himself a definite "Game of Thrones"-junkie. He also likes HBO's "Ballers" (a show about professional football players) and HBO's "Vice Principals", which is a really dark comedy. He also loves "Stranger Things". "No, I mean, a doctor sounds so tedious and I don't really like being around sick people that much. And I certainly would not have been able to become a surgeon, because I have no desire to flay somebody and see what's going on inside of them. I have zero desire...for cutting people up. I'll play a character who cuts people up..."
He also talked about some of the people he has worked with, like Jeff Bridges, who is some of his favorite all-time actors. He also played with the late Martin Landau, who he thinks "was a force to be reckoned with". Furthermore, he worked with Jack Palance, Charlton Heston, Ray Liotta, Danny Glover and Dennis Leary. In "Drop Zone" he worked with Wesley Snipes, who he says is a really great guy and is great to work with. Corin Nemec says he has a very blessed life to be able to work with so many great actors. After this Q&A on the first day I knew for sure I wanted to do a photo op or an autograph (or both). So, one of the first things I did on the second day was buying a photo op ticket (because this was pretty early in the day). When I was in line for it, someone from FACTS made his way along the queue to tell people what to do and what not to do. He asked not to hug Corin, because he did not like it that much. I can understand this perfectly, because I think I would not like that too. So, with the request in the back of my head, I stepped into the photo op area. The first thing I noticed was that Corin Nemec was really nice to everyone, he stood there with a big smile. When it was my turn, I walked up to him and instead of giving a hand he just hugged me. When I was 12 years old and watching "Parker Lewis" I would never have believed you if you had told me that I would be able to meet and hug that same guy 25 years later. I asked him how he felt and he said he felt a lot better than the day before. It was a great moment and I walked out with a big smile on my face. Later that day I decided to go and see Corin's second Q&A. And again, the guy was just so nice and had some great stories to tell. As you can read and see above; he always kept on going to auditions (even when he was on the height of his popularity) and this "humbleness” has ensured that he has been able to do acting jobs almost constantly over the last decades. After the Q&A he would be at his table for another half an hour and I decided to get an autograph too. I mean the guy is just so nice, really! So, I gave Tristan my camera (because I thought it was allowed to film) and I walked up to Corin Nemec for an autograph. The first thing he did was stand up to give me another hug and said "Hello again, how are you?" 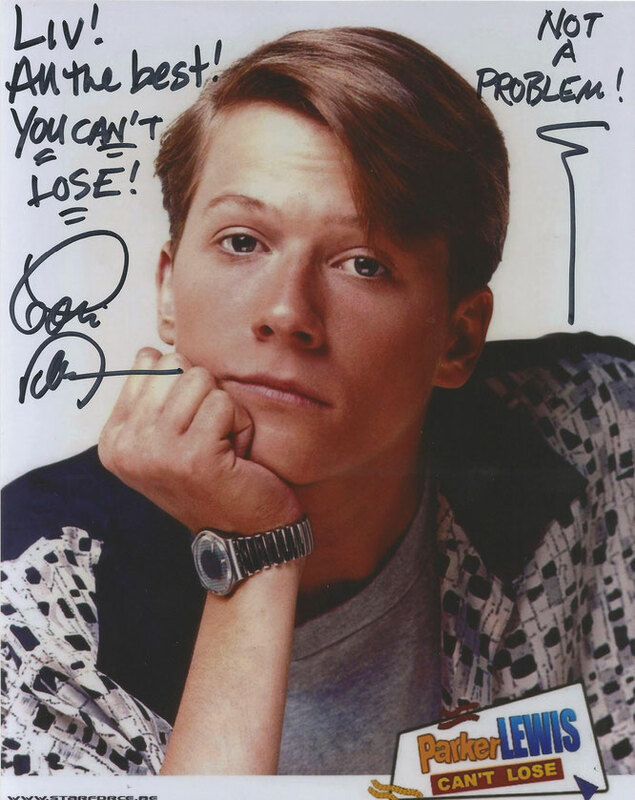 Of course, I chose a picture of Parker Lewis to have signed. I talked to him about the show a bit. I had a great weekend at FACTS and this autograph at the end of the day, was the icing on the cake. 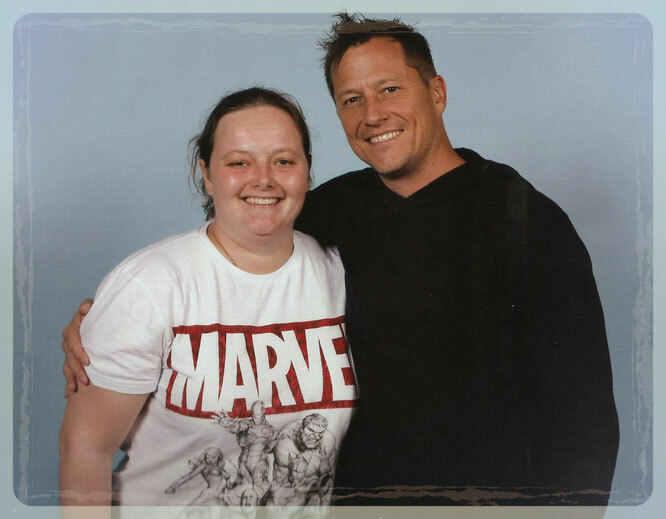 I hope I will have the chance to meet Corin Nemec again someday. Thank you for achieving and maintaining "Super-coolness"! Apparently, it was not allowed to record the meeting but before someone told him this, Tristan was able to record the first part, so here is a screenshot of me meeting Corin Nemec (in the background).